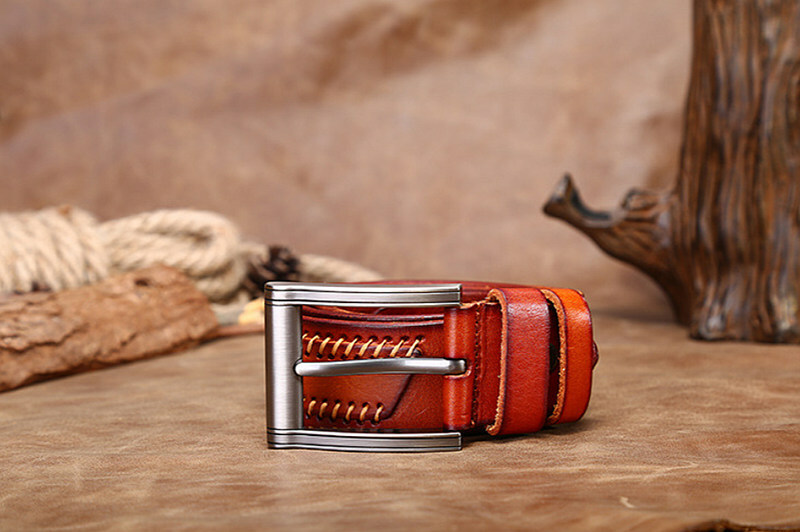 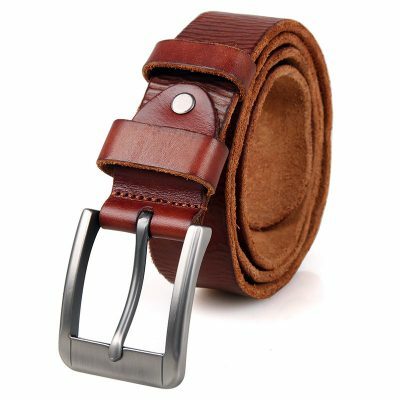 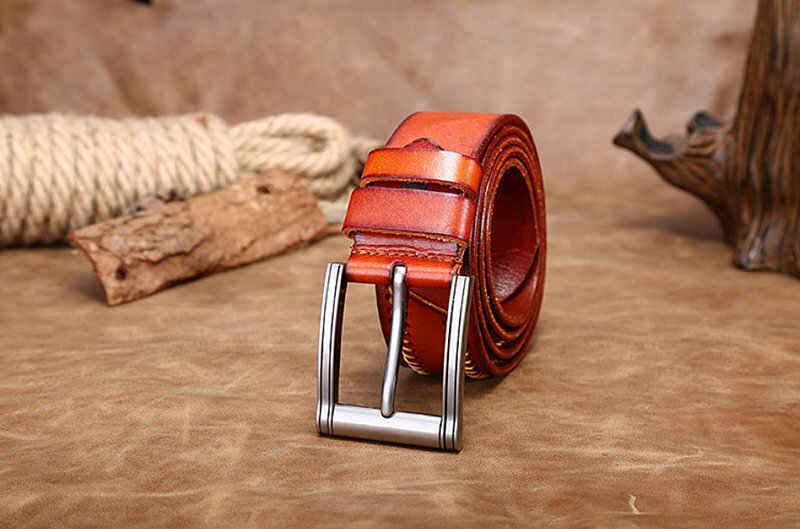 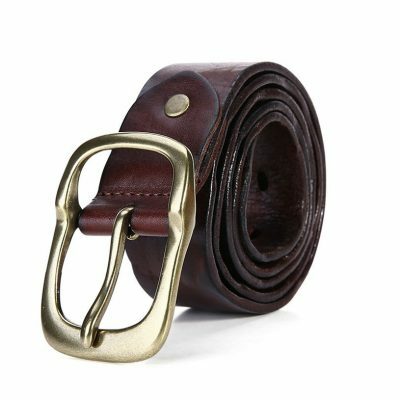 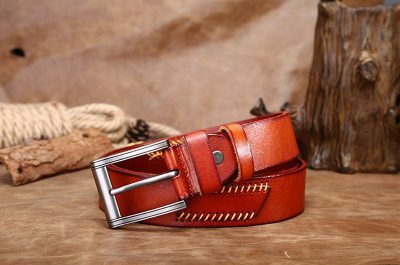 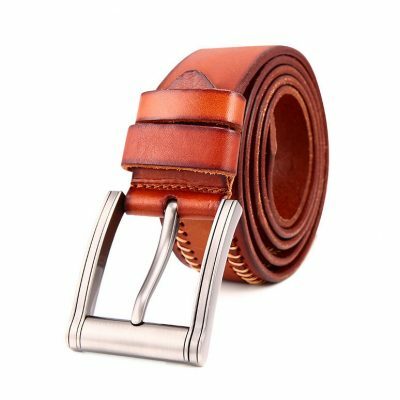 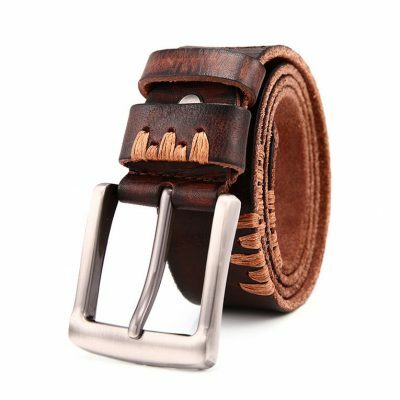 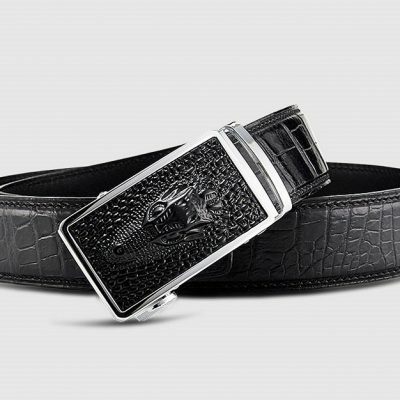 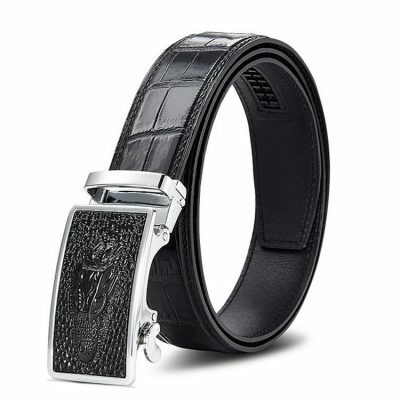 Handmade Full Grain Leather Belt. This isn’t the “Genuine Leather” stuff you find in the department stores. 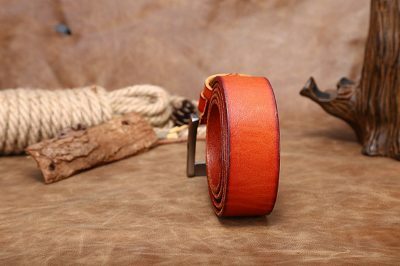 The belt was cut right from the hide and hand dyed. 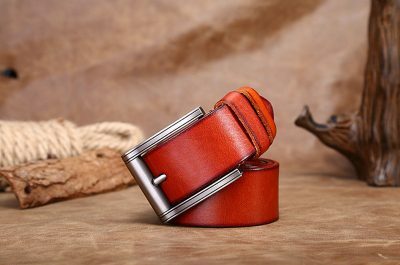 It will patina over time, giving a nice worn-in look that still looks good.